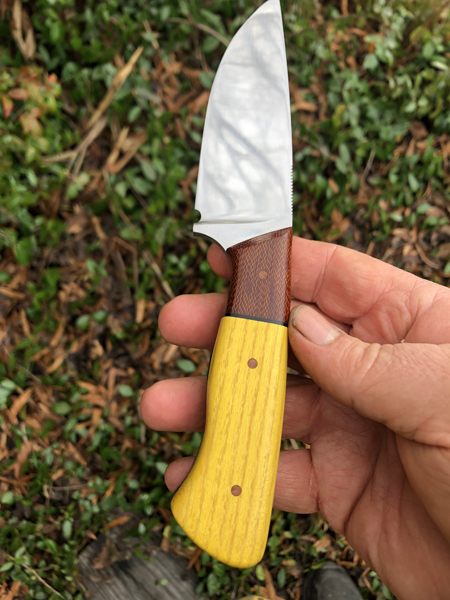 Here is knife #250 I just finished up. 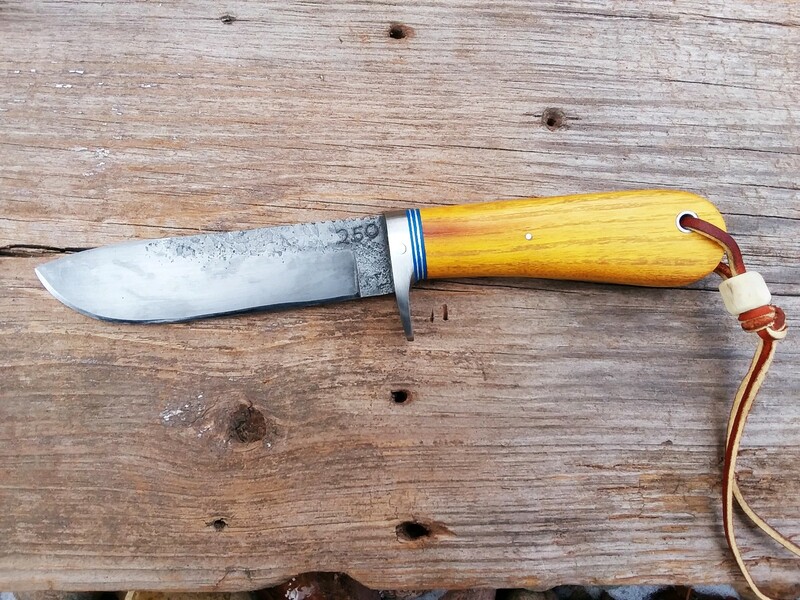 This knife has a stabilized hedge handle (cut from an old hedge post), stainless guard with blue G-10 spacers, and 1095 steel. I plan on using this one as a deer skinner next year and hopefully many years to follow. 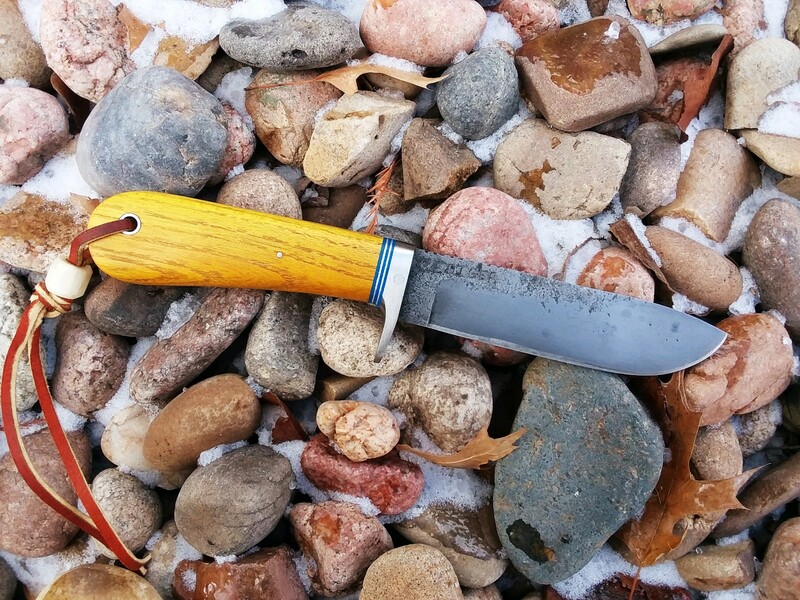 The knife is 8" overall with a 4 1/4" blade. 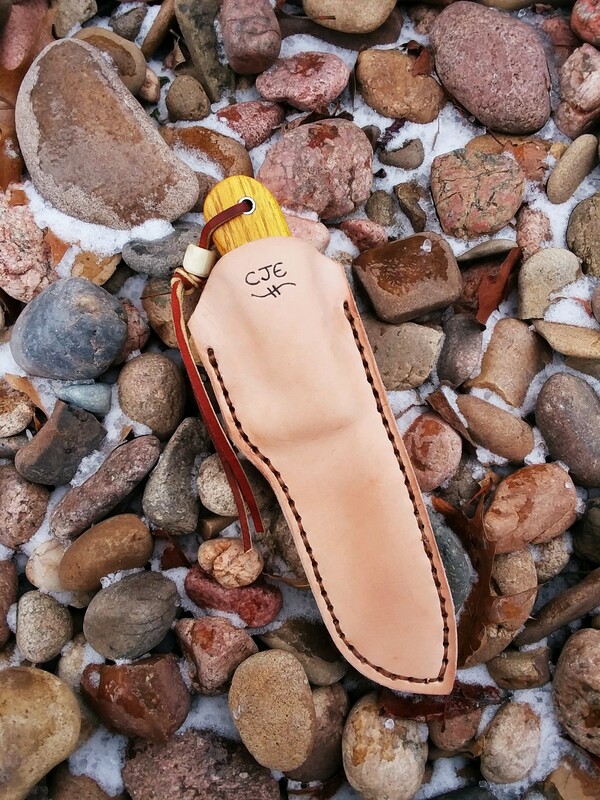 That's a sweet looking knife! Thank you guys, appreciate it. Really nice!! I wouldn't have thought to use blue G10 spacers but it looks great. Nice color and contrast. I really like working with hedge (Bodock, Osage Orange, Horse Apple). Not sure how many names that wood has, just depends on what part of the country you're in I guess. Thank you sir. Hedge is one of those woods that will look good with about any color of spacer. I debated between blue or red and figured I would try something different and use blue for a change. And yes, it has many names. Where I'm from, we just call it hedge. But just a couple hours south once you cross into Oklahoma, it turns into bois d'arc! 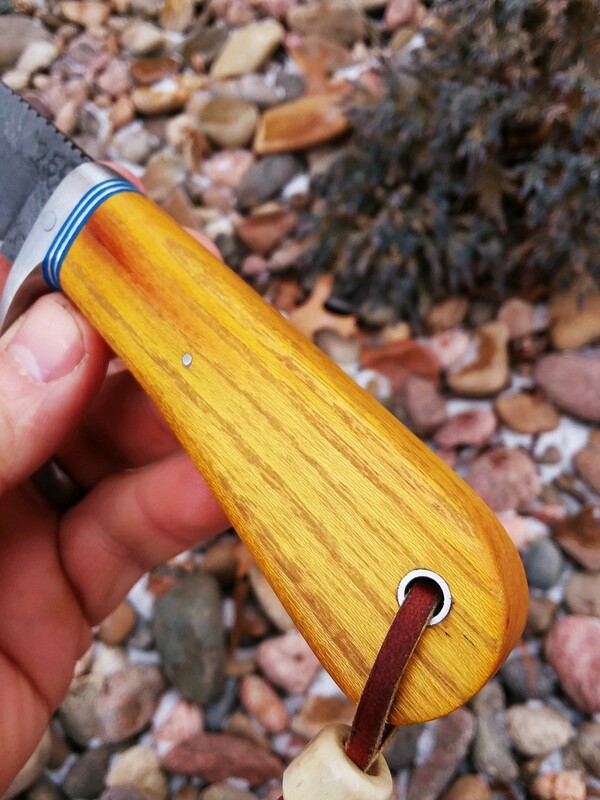 Hedge does make a very nice knife.